My name is Bekah Page-Gourley and I live in Detroit, Michigan, with my husband, Jason, and five-year-old son, Isaac. My husband and I met in law school in New Orleans, Louisiana, and moved to Michigan post-graduation. 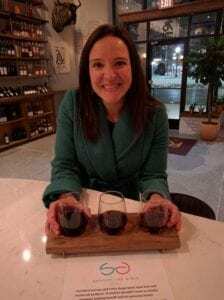 I practiced employment law for several years before joining the Institute of Continuing Legal Education (ICLE), where I still work as a staff lawyer. One day I started seeing Facebook posts by my former camp counselor, Joanna Wyner, with pictures of huge amounts of bras and tampons she collected in Cleveland, Ohio. I thought, what in the world is this? As I scrolled through and read more about what Joanna was doing with I Support The Girls (ISTG), I was so inspired. And then I learned about how Dana Marlowe had started it all, and I knew I needed to get involved. When I started as Affiliate Director in Detroit in July of 2016, I was looking for a concrete way to positively impact my community. The election was in full swing and I was tired of sharing Facebook posts, feeling outraged and doing nothing. I wanted something more tangible than donating money- something I could physically make happen. It has been hugely satisfying to feel that I can make a difference here in Detroit and beyond for women who need this assistance. We’ve collected and distributed almost 10,000 bras and over 100,000 menstrual products, and we’re just getting started. The biggest thing I have learned through my work at ISTG is the myriad of reasons that can lead women and families to experience homelessness; sometimes one triggering event can create catastrophic consequences. Over the past few years, I’ve learned to be sensitive with my language. I reference women experiencing homelessness, not “homeless women.” The latter designation feels like a label and has an air of permanence and stigma. Menstrual supplies and bras—items that so many women take for granted—are essential to personal health and dignity. Once those needs are met, women can focus on moving forward. For this reason, partnering with Shefit felt like the perfect match. ISTG – Detroit recently had the opportunity to work with Shefit to get 4,371 sports bras from their Hudsonville, Michigan, office to women in the Detroit and metro areas. Jade at Shefit worked with us to arrange multiple pickups and carted loads of giant bra-filled boxes to me himself, sometimes during snow storms. 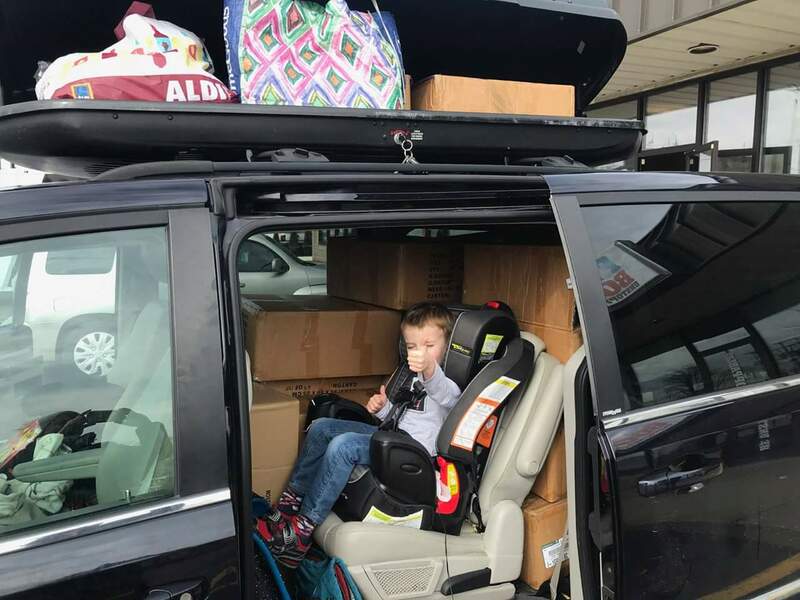 With the help of the ISTG – Detroit community of friends and helpers traveling to and from the Grand Rapids area, we were able to collect and distribute all of the bras in one month! 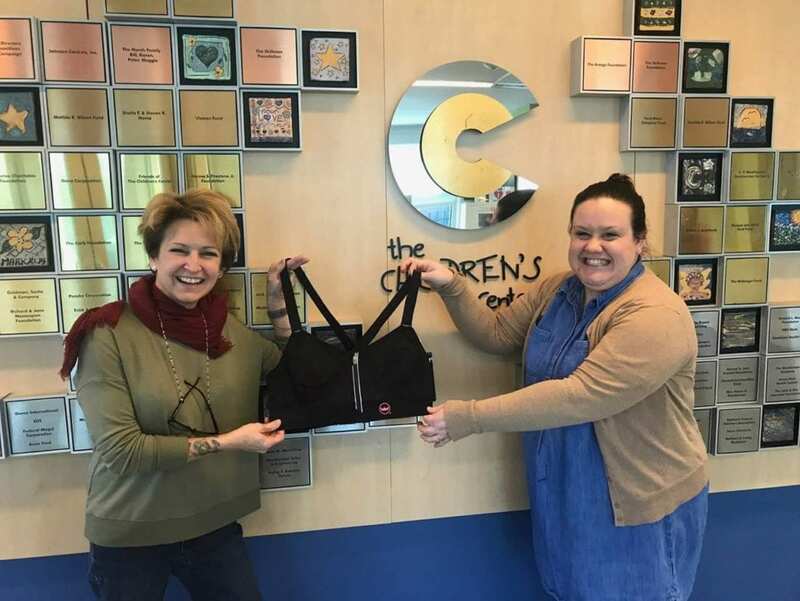 The bras went to a wide variety of shelters and organizations, including The Children’s Center, SafeHouse Center Ann Arbor, Alternatives for Girls, South Oakland Shelter and more. One thing I’ve learned in doing this work is that sports bras are particularly sought after, especially by domestic violence shelters. They are part of the emergency packages the organizations provide to women in crisis. I’ve also become more mindful of how expensive fitness attire is and how lack of access to sports bras can prevent women from being active and taking care of themselves. One of the awesome things about the Shefit bras is how adjustable they are. The bras fit a huge variety of shapes and sizes, which of course made the donation all that much more helpful. ISTG – Detroit and all of the recipient organizations are beyond grateful to Shefit for making this happen and helping us handle everything so smoothly! 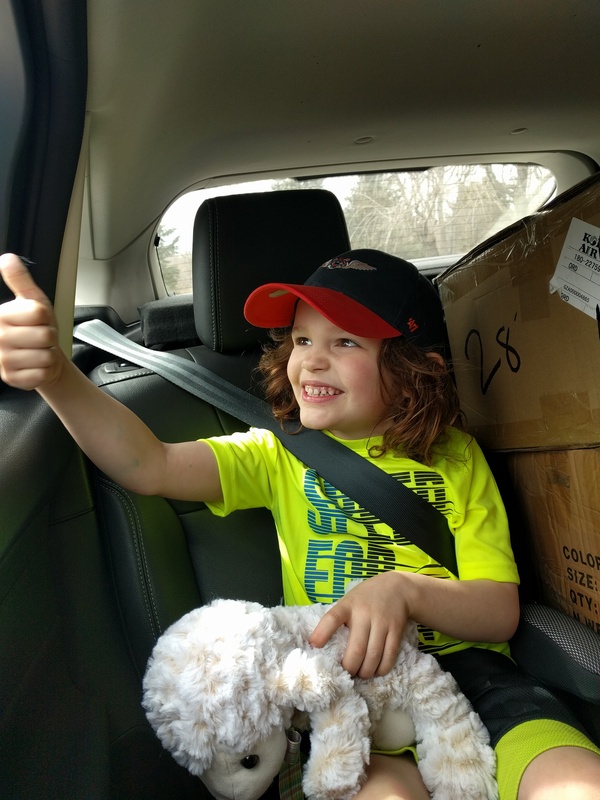 Clare, a friend of Bekah’s, packed up her car with products as son Eliot gives the thumbs up.